The Forest Stewardship Council is a global, not for profit organisation dedicated to the promotion of responsible forest management worldwide. We go to great lengths to make tea properly - from tasting 1000s of teas a day to find the best for our blend, to thinking about the water you'll brew it with at home. And over the years, we've built relationships with some of the world's top tea estates and gardens, visiting them in person as much as possible. But working closely with our suppliers is about more than quality tea. It's about trading with a conscience, doing business in a way that respects people and planet. We've put a lot of love into making this tea, so it matters to us that you enjoy it. 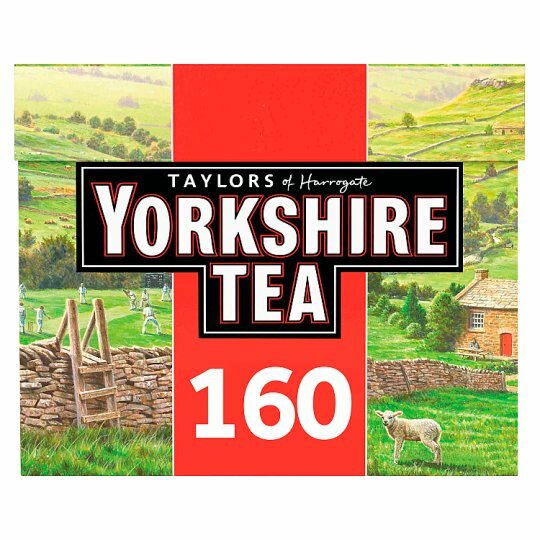 If anything's not up to scratch, call us on 0500 418898 or email hello@yorkshiretea.co.uk and we'll put it right.